You must know that not all products available out there can fulfill your needs and requirements. It is important to evaluate the capabilities of the available lot of options in order to make the right buying decision. The same stands true for backpack coolers too. 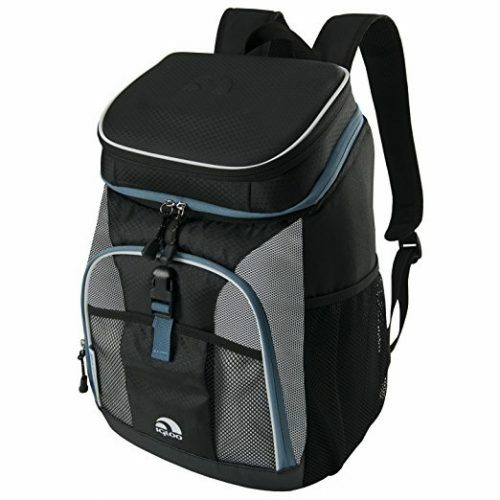 For selecting the right backpack cooler, you will have to take a number of important factors into consideration. In order to help you with your endeavor of finding the best backpack cooler and for helping you in making the right buying decision we have shortlisted the best backpack coolers available on the market. Have a look at the list that we have compiled we are sure you will find your dream backpack cooler on our list. 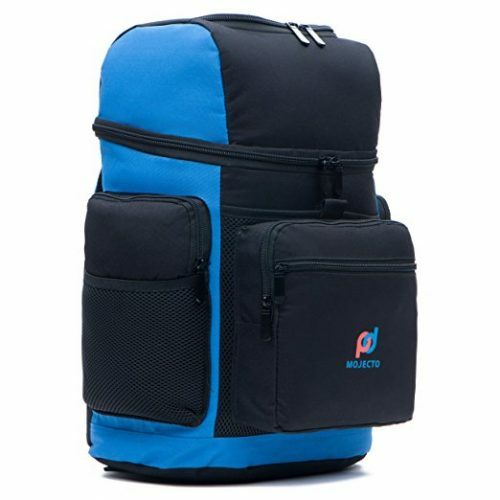 If you are looking forward to buying a backpack that has the convenience of working as a collar then rest assured we have a great option for you and the name of that option is “OA Gear backpack cooler.” You will be surprised to know that this very backpack holds the capacity to carry 20 cans plus ice efficiently. This very backpack features heat sealed liner that not only helps in keeping the items placed inside the backpack cool but in addition to that also prevents leakages. The manufacturer of this backpack claim that this backpack can keep stuff stored inside it cool for an entire day and believe us they are telling the truth. The straps of this bag are curved and padded for offering you comfort. The Igloo MaxCold Coolers backpacks surely look a lot like an ordinary backpack, but in reality, it is a cooler backpack that features MaxCold insulation that has 25% extra foam for keeping the items cooler for a longer duration. After having a look at this product, you will know that it is a well-designed cooler backpack. This backpack can hold nearly 18 cans of ice. This backpack features an EVA molded crush-proof top compartment that you can use for keeping your valuable and fragile items. The front drop pocket, as well as the side mesh pockets, is easily accessible. So if you have anything that you don’t want to go cold then you can place such items here for easy reach. As the name suggests, the Picnic Time Zuma Insulated Cooler Backpack is ideal for lunch dates, picnics, day hikes or for travel. This very backpack is made out of durable 600D polyester. Two separate sections inside the backpack make it easier to place items and also assist in finding stuff placed inside the backpack easier. The zippered pockets of this backpack keep your items cool and safe. The top compartment of the Picnic Time Zuma Insulated Cooler Backpack features a drawstring closure, but it is additionally secured with the help of an outer flap. There are some additional pockets located in the lower section of the backpack, and it can be used for stashing away some snacks or personal item that doesn’t need cooling. 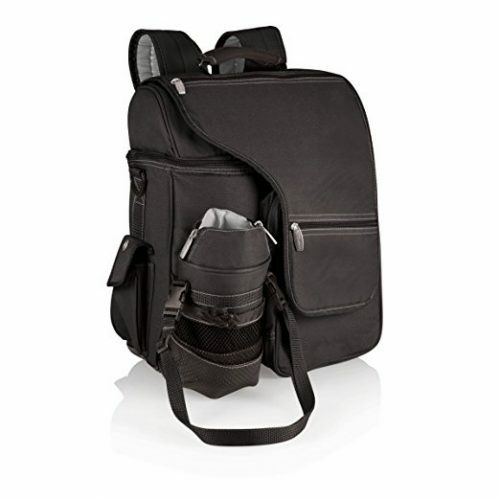 Soft padded comfortable shoulder strap and elasticated openings of side pocket ensure comfort and security. If you love gaining to camping trips and picnics, then you must buy the Picnic Time Pismo Insulated Cooler Backpack. It will act as the best companion during such trips and especially in hot summers. 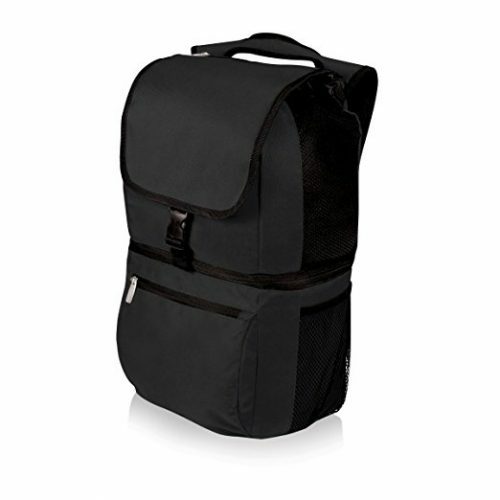 This very backpack features a polyester construction that gives it durability. There are two sections in this backpack, and the bottom cooler section can easily hold up to 20 ice cans. The top section isn’t cooled therefore you can use it for carrying other essential items such as clothing gear, towels, and snacks that don’t require cooling. The lower leak resistant and insulated section can easily keep your drinks cool for hours. The extra padded mesh-lined shoulder pad makes it easier to carry all those weights. You will be glad that purchased while sipping a cool drink after a tiresome day hike. 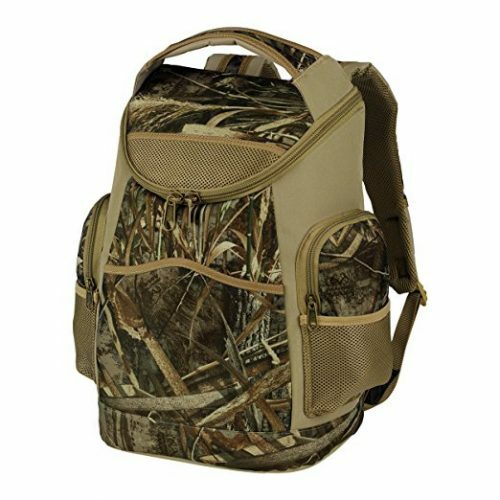 We will describe the Igloo Marine Ultra Square Coolers backpack as an “easy” backpack as it is easy to carry and the color of this backpack is easy on the eyes. This backpack is sleek and compact. This backpack is safe as it is anti-mild dew bag that too with UV protection. The most important factor that makes this backpack way more appealing is the fact that this backpack has easy to clean and rugged exterior material. You can machine wash this backpack. 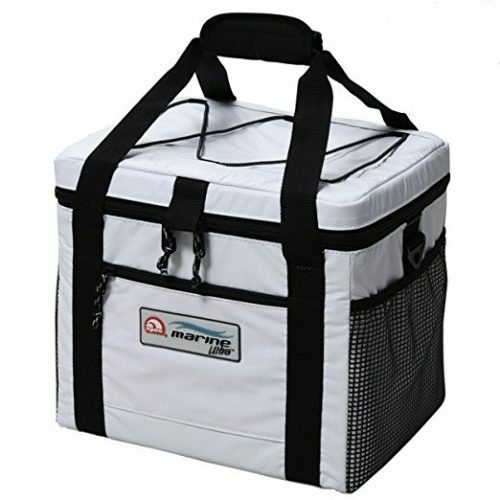 The Igloo Marine Ultra Square Coolers backpack features MaxCoold insulation for keeping the items inside it cool for a longer duration of time. Ypu can enjoy a can of chilled bear anywhere and anytime. Contains extra pocket for convenience. The Picnic Time Turismo Insulated Backpack Cooler is a multifunctional and compact backpack that you will surely love to buy if you have a thing for hiking and other outdoor activities. You will get two compartments inside the backpack, and it is the front organizer compartments that attracted us to this product. The organizer pockets are protected and closed with a full round zipper, and inside these compartments, you will find an interior compartment with 3 dividers. These dividers make it easy to place things inside the backpack in an orderly fashion. The back straps are well designed and padded for offering breathability and optimum comfort. Have padded straps for optimum comfort. 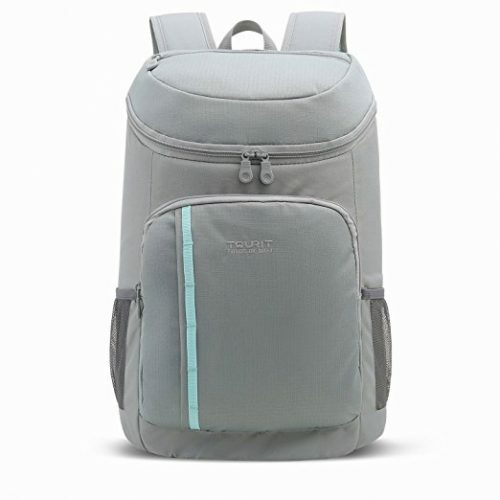 TOURIT insulated backpack is made of leak resistant, lightweight and durable fabric, this all features makes this backpack an ideal companion to picnic, work, hiking, fishing, camping and even to the workplace. The high-density insulation of this backpack makes sure that your food and drinks stay cool for hours. This backpack has carrying capacity of approximately 25 liters. The shoulder strap is padded and offers great comfort and convince. Is leak-proof and highly durable. If you are in search of a backpack that can offer the power of a cooler and carrying convenience of a great backpack, then the OA Gear Backpack 20 Can Cooler will be the ultimate grab for you. This backpack features heat sealed liner that not only keeps the item cool inside the backpack but also prevents leakage. Manufacturers claims that this backpack can keep items cool inside it for an entire day, believe us we tested this backpack and we are proud to say that it lives by this claim. You can easily carry 20 can plus ice inside this backpack. It looks very much similar to a school bag as it is compact and well designed. Features elasticated cord and you can use it for stashing away your jacket. The shoulder straps are curved and padded for giving optimum comfort. A variety of color options available . If you are in search of a cooler backpack that can hold a number of items and have large volume available inside it, then we will suggest you to buy Tourit insulated cooler backpack. This backpack can hold up to 28 cans of ice easily. This backpack is lightweight and yet has high durability. Made of durable and leak resistant fabric this backpack is the best cooler backpack available in the market. This backpack can keep your food items and drinks cool for around 10 hours. The shoulder strap of this backpack is padded and quite comfortable. In case if you are in search of a perfect cooler backpack with large carrying capacity, then you must buy this great backpack. 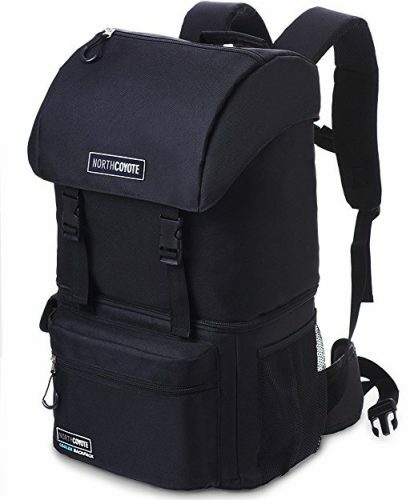 If you love going on hiking for an entire day, then we would recommend you to buy North Coyote hiking backpack cooler bag. 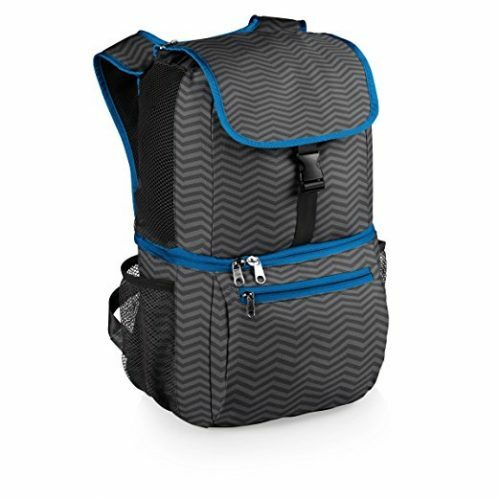 This backpack offers you the convince of using it as a backpacking bag as well as an insulated cooler for keeping drinks and edible items cool and fresh all day long. The insulated part of this backpack has 17-liter volume capacity, and on above the cooler portion, you will have a 25-liter storage compartment. This backpack features a well-padded adjustable shoulder strap and has been made from waterproof material. Available at an affordable price . Finding the best backpack cooler isn’t easy, and the main reason behind saying so is because of the availability of so many options. You will find that among this large number of options only a handful of options will be worth spending money on. Rest of the lot will be of subpar quality. In case if you are in search of a cool, durable and highly functional backpack cooler, then our list can guide you in the right direction. We have compiled this list after carrying out serious research on most of the viable options. After checking the best products and their features, we shortlisted the names of above backpack coolers. 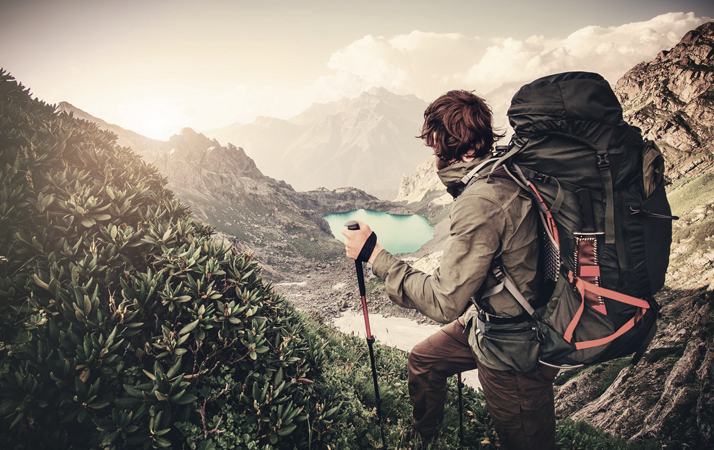 If you love going on hikes, picnics or camping then you should consider buying any of the above products. We assure you will surely get satisfied with any of the above product. 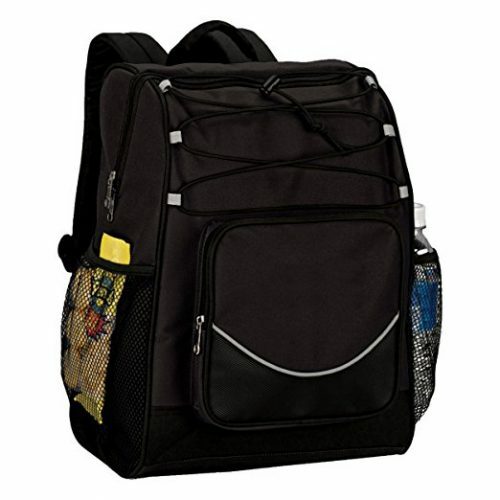 It is true that all the backpacks listed above holds the capability to offer comfort, convenience and keep your food and drinks cool for hours but for selecting the right option you will have to take few decisions. The most important one will be what you will be carrying in the backpack cooler. The next one will be for what purposes you will be using it for, and the last one will be deciding a budget.